For our wedding anniversary this year my husband bought me the Periwinkle grandparents. 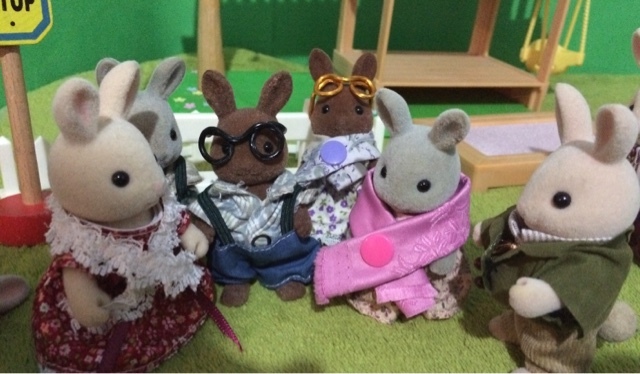 They were second hand & though Mack came with his original clothes, poor Mabel needed dressing. This is the end product. 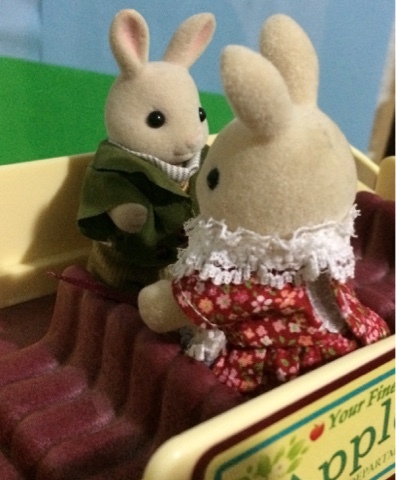 "Mabel, dearest, you said you couldn't stand the noise of all those children on the lower level. You practically begged me to help you up here! Remember?!" Replied Mack. Mack sighed. Sometimes Mabel was a bit difficult & changed her mind often, but he loved her anyway. There were so many times that Mabel was a caring, patient soul, that when she did have a difficult mood it didn't matter so much. 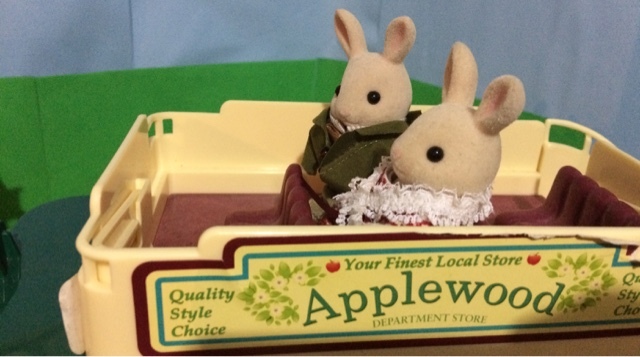 Smokey & Flora Wildwood, and Cliff & Pearl Babblebrook were waiting for the Periwinkles arrival. "It would also be good to have someone to watch the children & give us the chance to spend time together." Remarked Katie. "Flora, that would be lovely. But don't you get worn out be around children all the time? You live with your son Herb & his family don't you?" "Katie, don't you worry your pretty head about me. I enjoy being around young children, & my daughter in law Ginger makes sure I don't have to do too much at home." And with that Flora took the off to play. "Thanks heaps for coming Uncle Smokey. I'm sure Mother will be pleased to see you when she arrives." Everybody waited for the first glimpse of the bus. It was here! 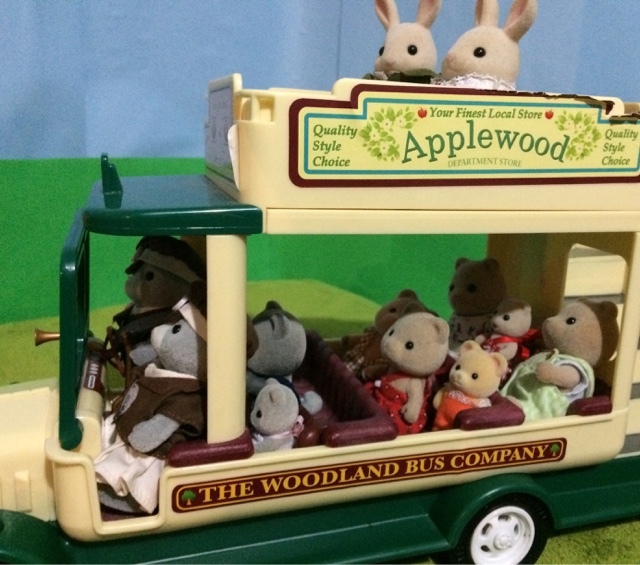 The first official bus trip to Slydale Hollow! 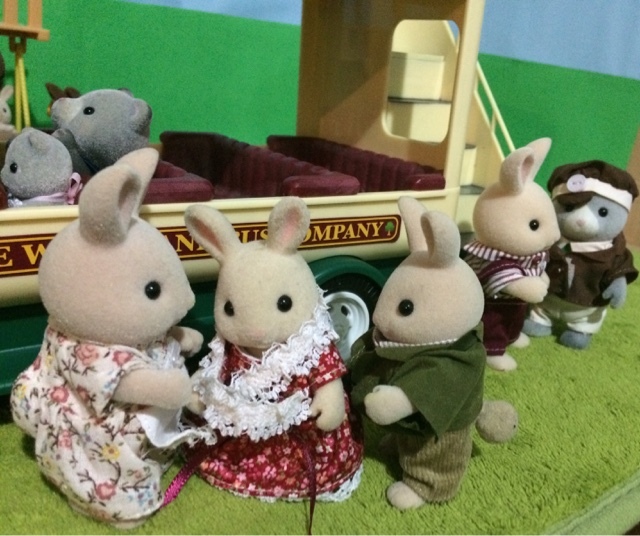 Mack & Mabel could see their friends & relations waiting for them. 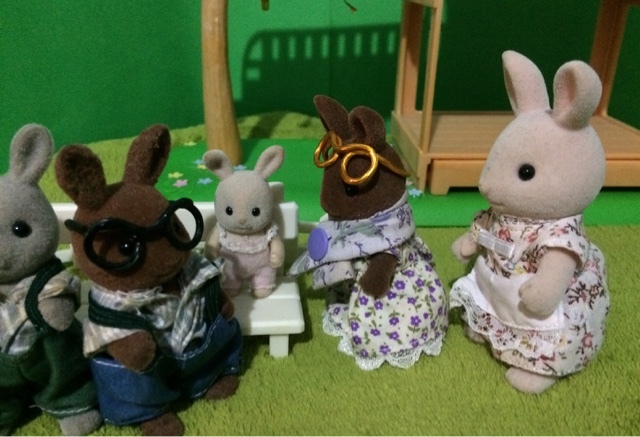 The Babblebrooks were so excited they had to sit down! 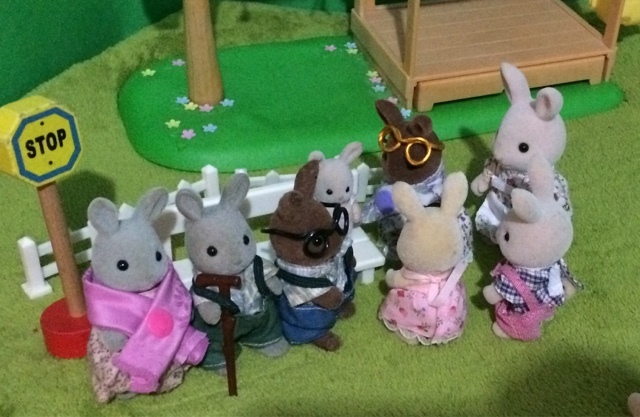 "Now Mabel, my dear, let me go down first so I can help you down those steps"
"Of course I will Mack, I don't fancy tumbling down them"
"Here, Mrs. Periwinkle allow me to help you down." Said Stan the bus driver, " I have experience get up & down these steps." 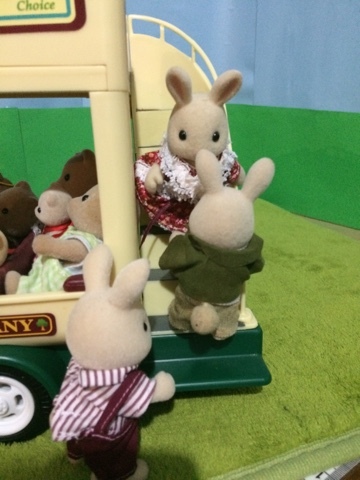 "Why yes of course" said Mabel, but as soon as the words were out of her mouth she slipped, & luckily Driver Stan caught her. 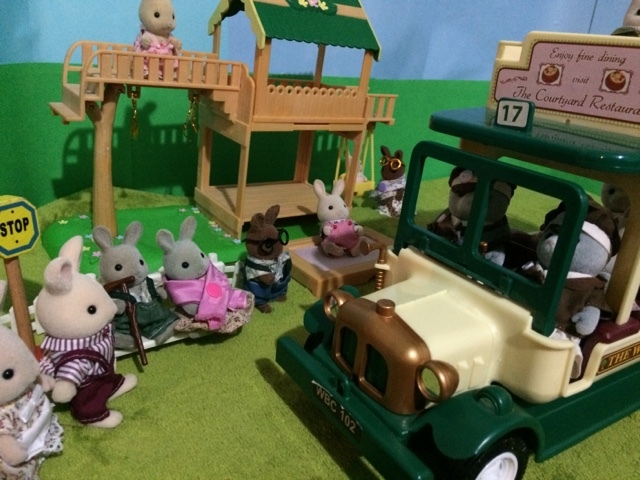 "Oh my, oh my, oh my" muttered Mabel as Mack & Katie led her to the bench. 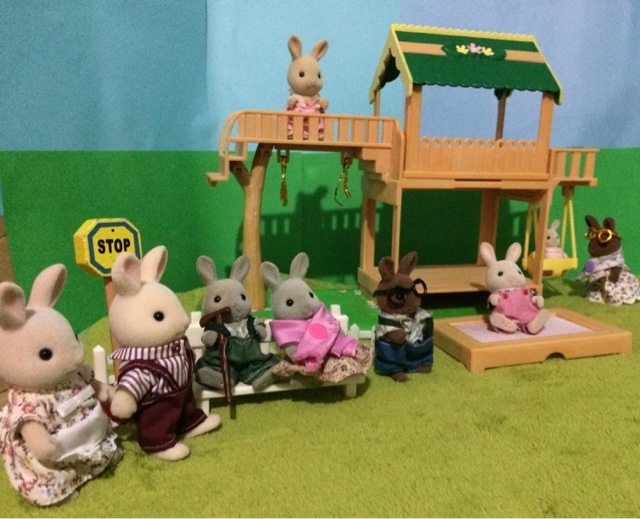 Mabel promptly lay down on the bench & puffed & panted like she was going into hysterics. But just then a little face appeared right next to hers. "I kiss it. 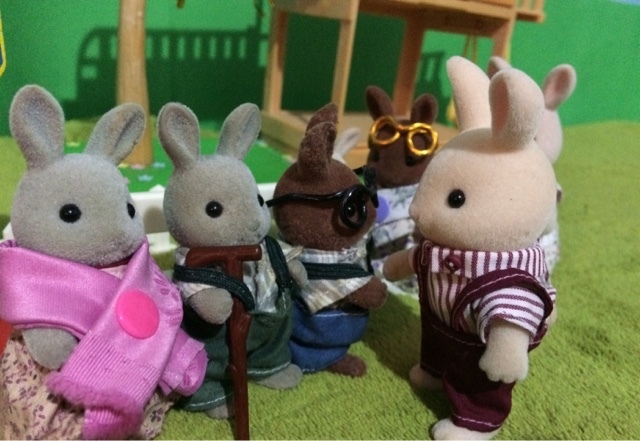 I make it better Granny!" It was Baby Isobel, Mabel's newest grandchild. Mabel cheered up immediately. 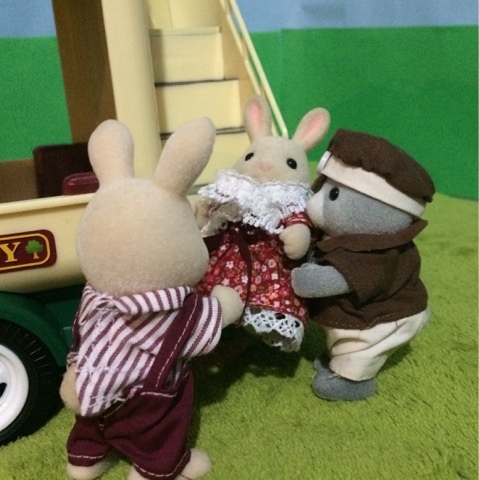 "Come along Mabel, you've had worse slips than that." said the familiar voice of her cousin Smokey. 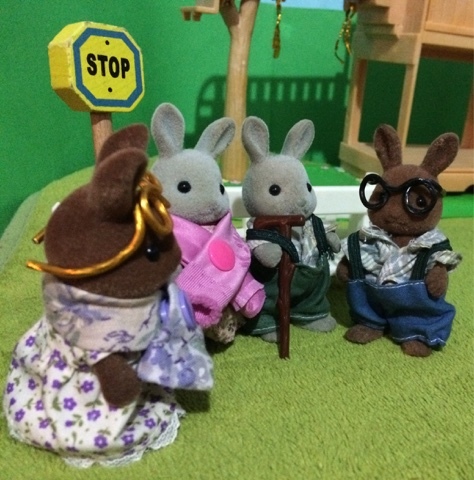 "Remember when we were children & you used to climb the apple trees in your father orchard..."
Mack & Mabel spent the rest of the day reminiscing about younger years, & getting to know their grandchildren better. And now here they are. 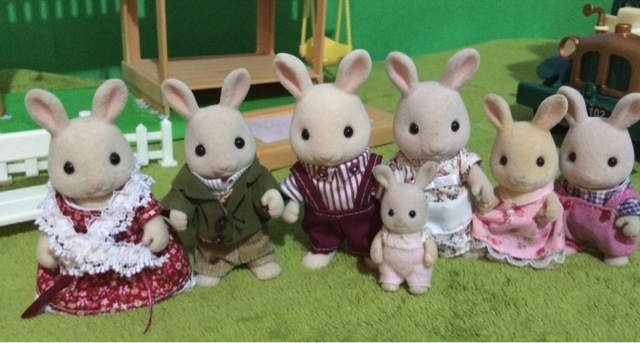 The Periwinkle rabbits. 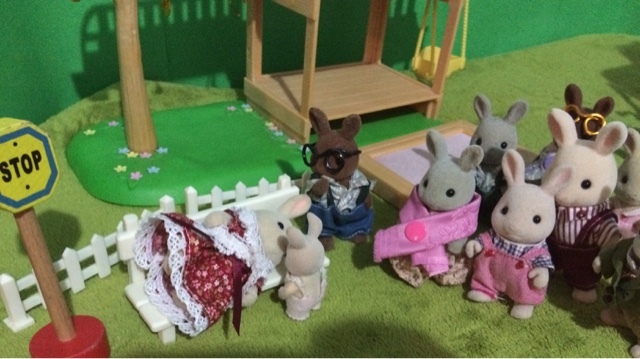 Oh poor Mabel! But she seems fine and little Isobel is adorable! Congrats on the new family! 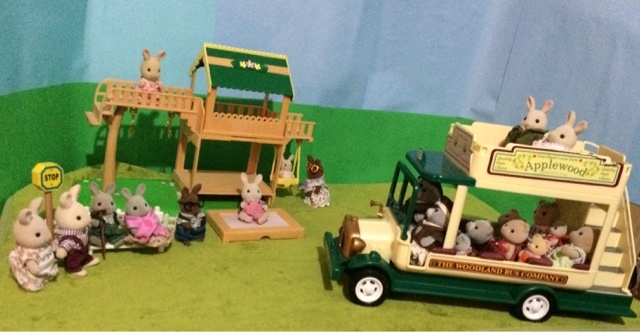 Your playground set is pretty and I enjoyed reading a story including the vintage Sylvanian bus. 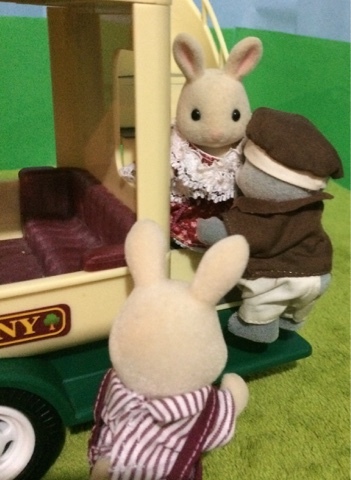 I must admit, I don't have any transport available for the Sylvanians in Riverside just yet... They still have to get everywhere by foot!! 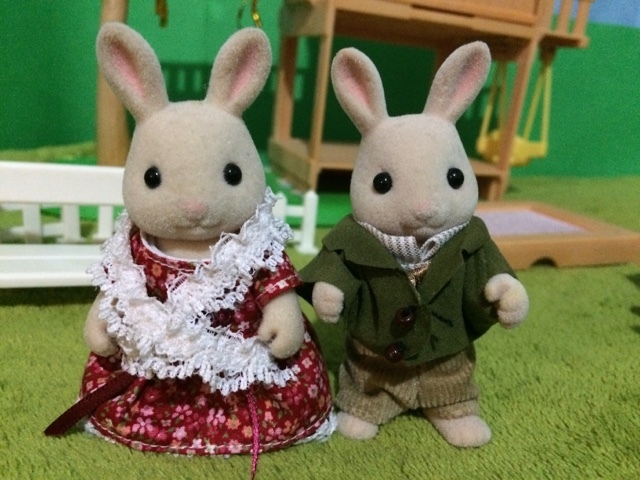 The Periwinkle grandparents are adorable.Actually,I love Sylvanian grandparents. Me too! I'm trying to get as many of the grandparents as I can.